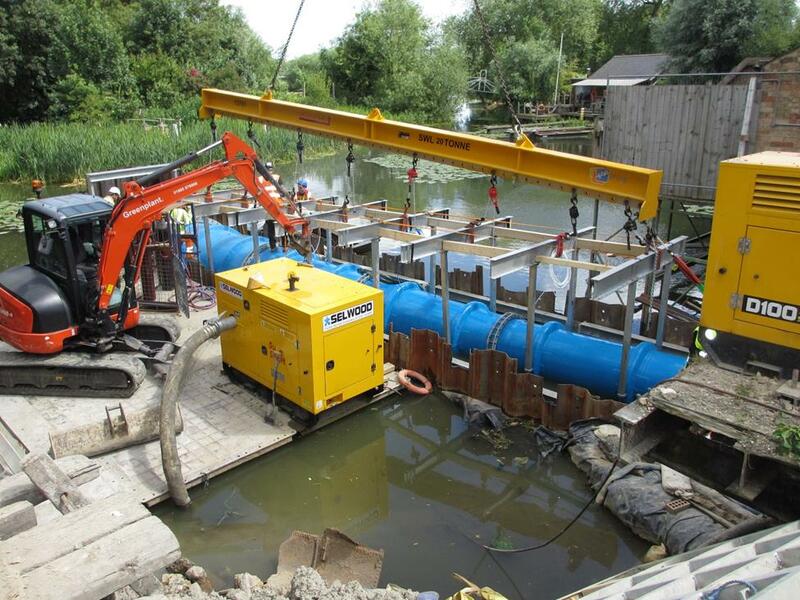 The first VETT unit commissioned has been installed on the site of a former mill, built in 1847, now converted into a public house and restaurant. 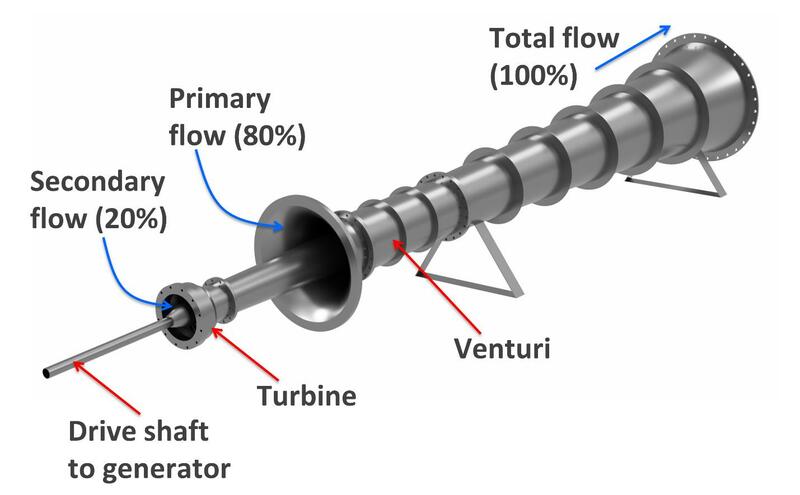 The VETT utilises a pipe section (fabricated by Forbes) through which water passes, this pipe section incorporates a venturi which amplifies the flow to drive a high speed turbine and generator. VETT is a technology developed and patented by VerdErg. It utilises Bernoulli’s 18th century principles to amplify a pressure across a turbine. 80% of the water passes through a venturi (constriction) with no moving parts, which causes the pressure in the venturi to drop. A second flow path, which contains a conventional axial propeller turbine, connects this low pressure area with the higher upstream pressure. The pressure across the turbine is now significantly higher. The turbine in a VETT therefore operates under a higher head but at a fifth of the flow, allowing costs to be reduced and sites like this to be reinstated. Fish can pass through the venturi unharmed. The turbine intake is screened. 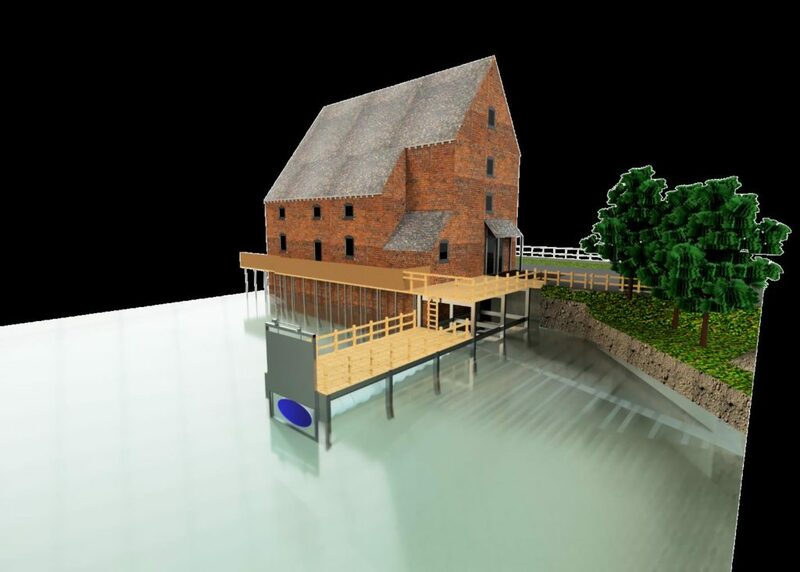 Illustration of VETT installed at The River Mill, Eaton Socon. The whole VETT assembly is lowered into the river, with decking above to minimise visual impact, also providing extra outdoor seating for the pub. 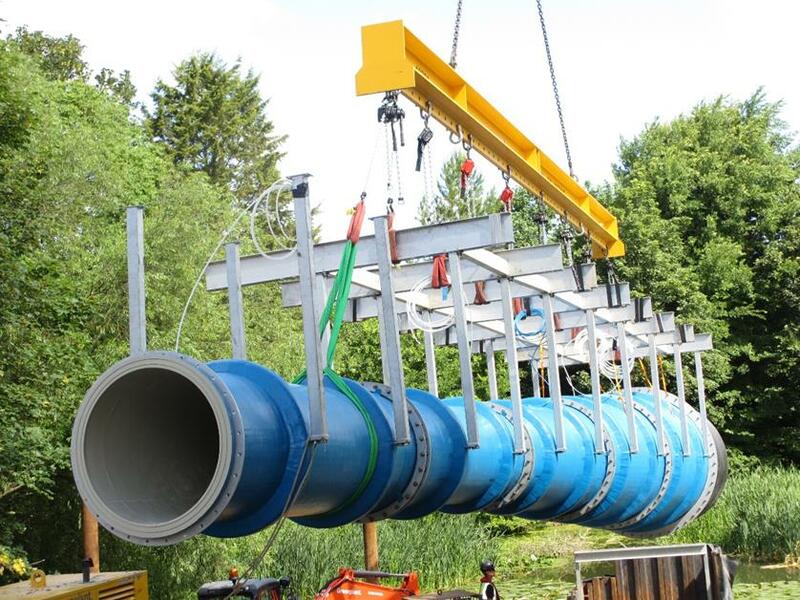 The pipe section at approximately 2.4m diameter and 18m in length, is of dual laminate construction with an internal surface of Polypropylene material reinforced externally with GRP laminate. Why choose Polypropylene/GRP construction over alternatives? The main design considerations for the design of ducts were for a hydraulically smooth internal surface finish, resistance to corrosion, cost effectiveness and to have the strength required to resist both internal and external pressures. Traditionally, VerdErg has manufactured smaller ducts in stainless steel, but with the scale of these units being so much greater than previous designs cost and manufacturability became an issue. The Polypropylene/GRP construction offered two immediate advantages over steel. The Polypropylene offered a hydraulically smooth internal surface finish and the GRP offered resistance to corrosion. Designing in GRP offered flexibility with regards to the strength, manufacturability and ultimately the cost of the ducts. 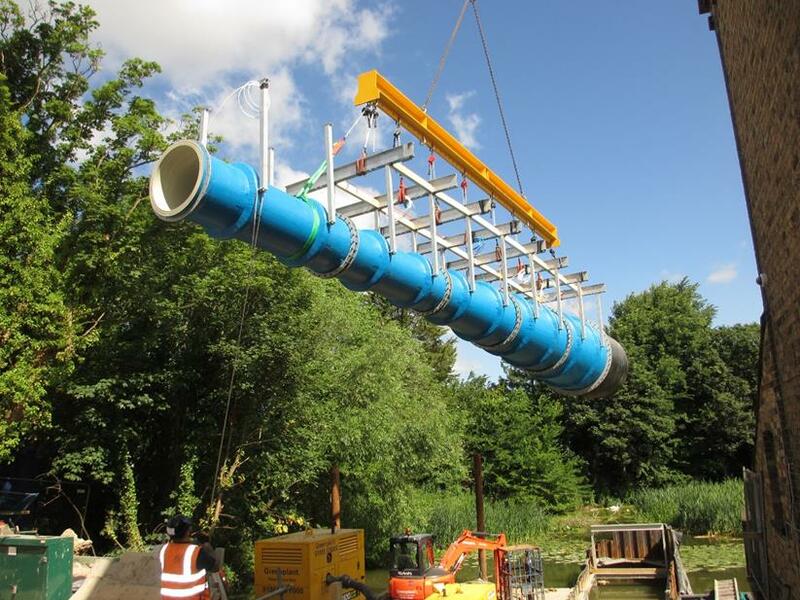 The final design of the GRP ducts was significantly lighter than the equivalent design in steel, aiding the final installation on site. In the long-term, the GRP ducts will require fewer inspections and less maintenance than had they been designed in steel, reducing the projects ongoing O&M costs. In hindsight, investing time in moving away from a stainless steel to a Polypropylene/GRP construction was the correct choice for the project.